AT the twilight of the 20th century in 1999, the management of The News Magazine, led by Mr. Bayo Onanuga, (now the Director-General of News Agency of Nigeria), thought of putting together in a chronicled document, the most prominent 100 Nigerian men and women of the 20th century. The publication was entitled ‘people in the news 1900-1999: A survey of nigerians of the 20th century’. The contributors to that compendium consisted of some distinguished Nigerian newspaper editors, columnists and other versatile (but non-journalists) writers who were carefully chosen and commissioned to write about the selected great Nigerians. As a columnist and the then Deputy Chairman of the Editorial Board in the Vanguard newspaper, yours sincerely was one of those writers. And the two personalities assigned to me as an Islamic columnist were the late Shaykh Adam Abdullah Al-Ilory and Shaykh Abubakar Mahmud Gumi (a onetime Grand Qadi of Northern Nigeria). The 498 page book which was publicly presented with pump and pageantry at the Nigerian Institute of International Affairs in Lagos can be called Nigeria’s 20th century ‘Hall of Fame’. To know the great contribution of this colossal personality to the positive spread of Islam and development of Arabic language in the West African sub-region, please read below what I wrote and was published in the mentioned compendium about this vertical icon and his established revolutionary Institution called Markaz. It went thus; “To Muslim communities of West Africa, two names (Shaykh Adam Abdullah Al-Ilory and Markaz sound synonymous and are often used interchangeably. Until recently, only a few people knew that Markaz is a name of an Institution while Shaykh Adam is the name of its founder. Both names jointly symbolize revolution not only in the method of propagating Islam in West African sub-region but also in entrenching the divine language of the Qur’an in the hearts and brains of those Muslims. The late Shaykh Adam Abdullah Al-Ilory was both an Islamic scholar of international repute and a revolutionary. The famous Centre for Arabic and Islamic Knowledge (Markaz) in Agege, Lagos State, continues to testify to the qualities and legacy of Sheikh Adam Abdullah Al-Ilory. With the establishment of Markaz in 1952, Shaykh Adam introduced an unprecedented modernity and standardization into the learning of Arabic language and Islamic culture in West African sub-region, especially Nigeria. No 20th century Muslim scholar, dead or alive, has had such a profound impact on West African Muslim communities, in terms of Arabic scholarship and Islamic propagation as Shaykh Adam. Unsatisfied with the depth of knowledge he acquired from those local clerics whose teaching methodology he resented, Shaykh Adam, decided to proceed abroad for further studies. Shaykh Adam’s Academic Sojourn in Cairo. He arrived in Cairo, Egypt, in the early 1940s, where he had an academic sojourn at the prestigious Al-Azhar University which is the oldest University in the world today having been established about 970 C.E by one Jawhar, a ‘Fatimid’ front liner who made education his priority in life. In Cairo, Sheikh Adam saw with admiration how well organized madrasahs were and dreamt of establishing one on his return to Nigeria. He studied the Egyptian curricula of education and methodology of teaching both at the elementary and secondary school levels. Thus, on returning home in 1947, he worked briefly as a missioner under Ansar-ud-Deen Society of Nigeria to enable him settle down financially in preparation for the realization of his long term ambition. In a short while, his burning desire to reform madrasah system in Nigeria spurred him to start planning for the establishment of Markaz. Thus, with just meager financial resources but relentless determination, he established his dreamt madarasah called Markaz in Abeokuta, now Ogun State, on April 16, 1952. The Institution which was to become the centre of revolution in the teaching of Arabic and Islamic education in Nigeria, started with just 19 pupils and four teachers including Shaykh Adam himself. The founder’s foresight, however, would not allow Markaz to remain in Abeokuta for long. He moved the Institution to Agege in 1955. The uniqueness of Markaz is not to be seen in the quality of education taught to the students alone. The modern teaching methodology and reformation with which the Institution is characterized confirm that uniqueness. For instance, it was in Markaz that the use of chalk and blackboard for teaching Arabic and Islamic education was first introduced in Southwest Nigeria. Hitherto, the teaching instruments were wooden slates and local ink. It was in Markaz of all madrasahs, that a curriculum was first introduced which classified studies into subjects while pupils were distributed into classrooms according to their levels. It was in Markaz that pupils of Arabic and Islamic education first wore uniforms and sat on chairs rather than on bare floor while writing with pencil or pen in notebooks. It was in Markaz that written examination was first conducted as a means of assessing and promoting pupils from class to class while certificates were issued to successful madrasah graduates as a measure of their level of education. It was in Markaz that such facilities as dormitories, library, printing press and clinic were first provided for students. Still burning in an ambition to build quality human beings, Shaykh Adam decided to add a secondary stage of education called Thanawiyyah in the Arab world but decided to name it At-Tawjihi meaning ‘Pre-University institute’. That was in 1964. This innovation made it possible for students of Markaz who had completed their elementary education in Arabic and Islamic studies to surge ahead and get prepared for University education. It was an idea that created ambition in most graduates of Markaz to become like Shaykh Adam in future. The idea thus propelled the ambition in most of those Markaz graduates to proceed to the Arab world for further studies. Today, the result is manifest. However, for doing all these and for teaching students such subjects as syntax, morphology, logic, semantics, philosophy, geography, History, Mathematics, and Literature, Shaykh Adam was confronted with implacable hostility by the local, traditional Alfas who saw the new revolution as a cultural affront. That hostility became aggravated when Shaykh Adam added a Central Jum’at Mosque different from that of Agege Township to Markaz where he was translating the Friday Arabic sermon into Yoruba language. But the courageous scholar remained undaunted. With the first graduation ceremony of Markaz in 1957, however, which many people watched with admiration, Sheikh Adam won a landmark victory for his revolution. Following that graduation, some ambitious local Alfas swallowed their pride by shelving their envy and enrolled in Markaz as students to improve their knowledge and undergo tutelage in the modern teaching methodology. Some of these Alfas came from various parts of Nigeria as well as neighbouring countries like Benin Republic, Togo, Ghana, Cote de Voire, Guinea, Burkina Faso, Cameroon as well as Sierra Leone, Liberia and Senegal. After graduation, all of them went back to their home countries to establish similar Institutions in their domains under the supervisory umbrella of Markaz. Today, thousands of graduates of Markaz and those of the affiliate Institutions are University graduates in various fields of discipline. Scores of them are highly placed in their professional callings. Today, Markaz can proudly regale in the galaxy of its alumni who are holding sway in virtually all fields of human endeavour. Among these are Professors like Ishaq Olanrewaju Oloyede, a former Vice Chancellor of the University of Ilorin and now the Registrer of JAMB; Professor Abdur-Razak Deremi Abubakar, a former Vice Chancellor of Al-Hikmah University, Ilorin, Kwara State; The late Professor Shuaib Uthman, a former Deputy Vice Chancellor of Usman Dan Fodio University, Sokoto; Professor Murtada Aderemi Bidmus, a former Dean of the Faculty of Education, University of Lagos, to mention but just a few. There are many other Markaz alumni with Ph.D. degrees. There are also Medical Doctors; Lawyers; Engineers; Ambassadors; Journalists (including yours sincerely), Architects; Accountants; Bankers; Pharmacists; Surveyors; Civil Servants; Business men and women as well as Secondary School Principals and teachers; name it. They all exemplify the great Institution’s anthem which is often chanted emotionally with relish by the students and alumni of the citadel. Despite Shaykh Adam’s financial constraints, and his close relationship with the Arab world, he never sought financial aid from any foreign country. Not only did he believe that such a quest was capable of undermining one’s social status and dignity; he also resented begging in whatever form as a means of fulfilling an ambition. Naturally, Shaykh Adam was an ascetic person who shunned avarice in all its ramifications. And due to his ascetic nature, he was highly respected by personalities like the late Premier of Northern Nigeria, Sir Ahmadu Bello, the Sardauna of Sokoto; the late General Murtala Muhammed; the late Bashorun MKO Abiola, the late General Abdul Baqi Babatunde Idiagbon and even Chief Olusegun Aremu Obasanjo, a two term President of Nigeria’s fourth republic. In 1963, Shaykh Adam initiated the formation of the League of Imams and Alfas of the South West of Nigeria to which he served as Secretary-General till his demise in 1992. After the establishment of that League, he turned down his nomination as President and preferred to serve as Secretary-General. 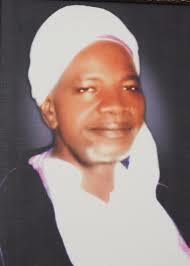 He was also the initiator and leader of the ten man team that translated the Qur’an from Arabic into Yoruba. Shaykh Adam was a very powerful orator and vociferous Islamic preacher who used his Friday sermon as well as his Ramadan Tafsir (exposition of the Qur’an) to create Islamic consciousness among all Muslims in West Africa. In his sermons and open door preachings, he never spared any government of the day on issues of corruption, human rights abuse, democracy, economic mismanagement and arrogance of power. As an author of scores of scholarly books and booklets, Shaykh Adam was internationally acknowledged as a towering Islamic scholar whose contribution to Islamic scholarship and propagation in West Africa remained unequalled in the 20th century. Some of his books were being used in some Universities in the Arab world. Shaykh Adam was the first black African to win the coveted Egyptian intellectual Gold Medal Award in Arabic Literature, which was presented to him by President Hosni Mubarak of Egypt in 1989. He had earlier, in 1975, won the Muritanian International Award for Islamic Scholarship, which was presented to him by the late President Moukhtar Ould Dada of that country. Shaykh Adam traveled far and wide in the Arab world, Europe and Asia to attend many academic and Islamic conferences where he often presented scholarly papers. He was a member of many international academic and Islamic bodies in Africa, Middle East and Asia.